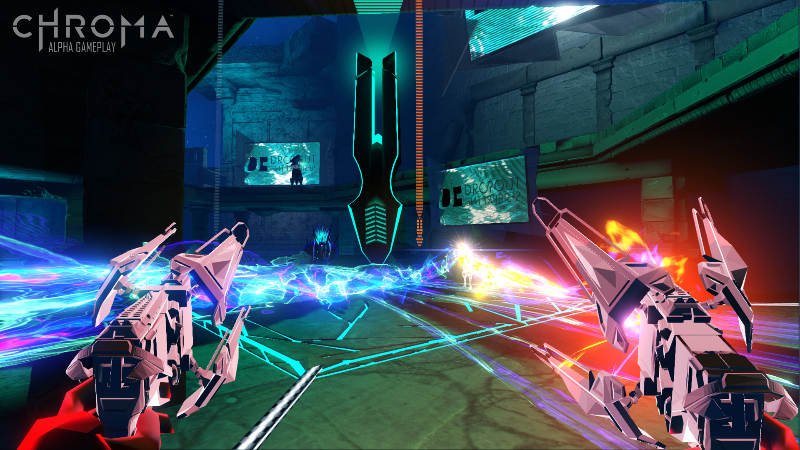 Chroma is a F2P arena FPS developed by Harmonix. 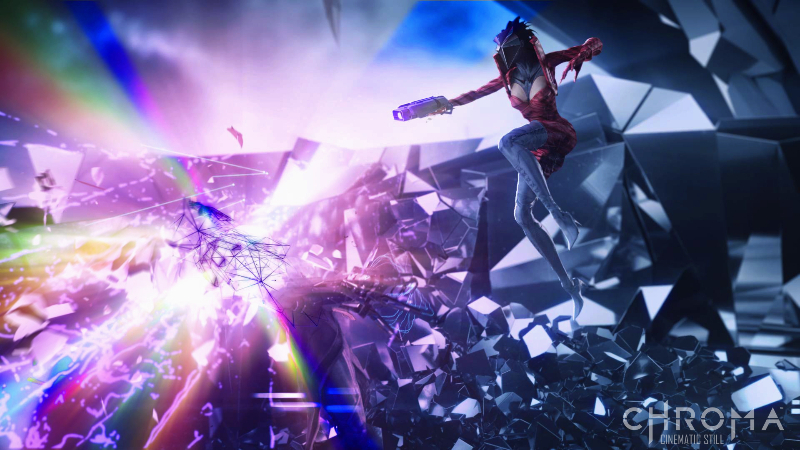 Infused with fast-paced PC shooter action and music-driven gameplay, join the fight as a Fader, a musical icon of the future, and battle for control of the all-encompassing cultural feed known as The Signal. 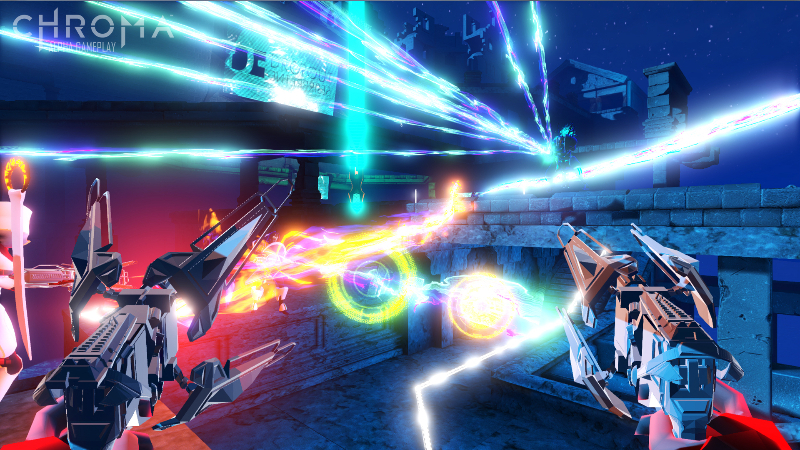 In Chroma, music is your weapon. 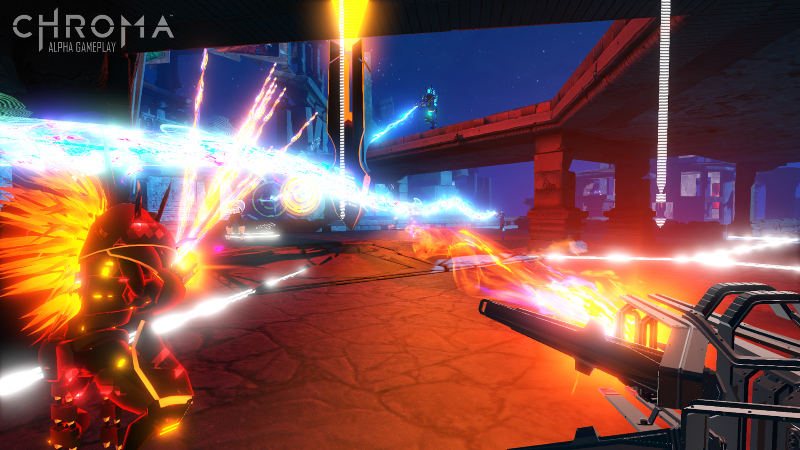 Music-driven FPS: Music matters. 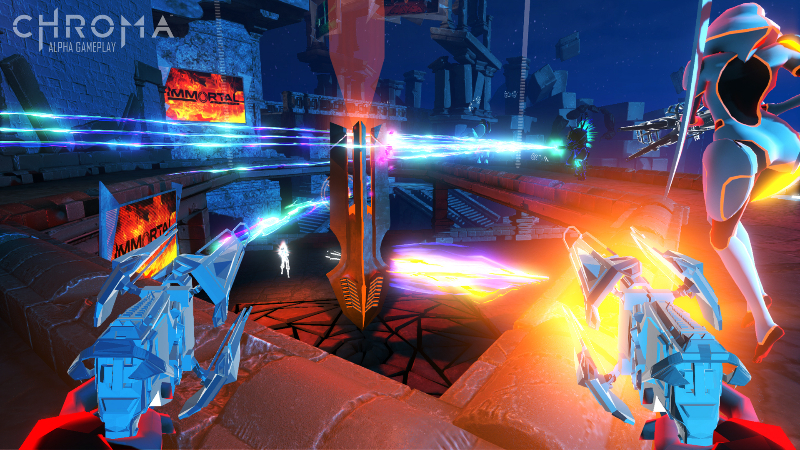 Chroma features innovative first-person shooter mechanics that tie the game’s soundtrack directly to combat, traversal, and more. Music is your weapon: Unleash streams of sound and music with your arsenal and bring the musical landscape to life in battle! From deep wobbling bass to the crunch of an electric guitar, crushing metal drums to poppy synths, choose a weapon load-out that reflects your musical tastes and personal style and take your sounds into battle. Band together: Your team is your band: Join up with your friends and battle for glory. 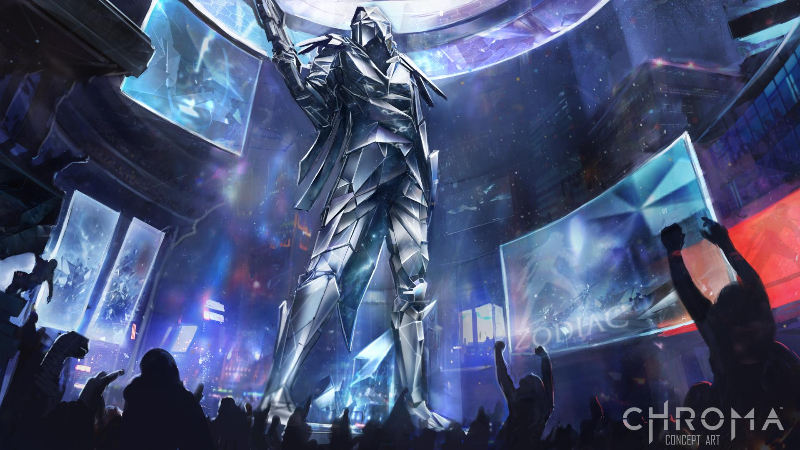 Master multiple classes, each with their own unique musical gameplay mechanics and perks, and lead your team to victory. Conquer shifting terrain: "Change Ups” at major musical moments dramatically alter the landscape of the battlefield in real time both physically and strategically, raising sniper towers, adding cover, and more in sync with the music.